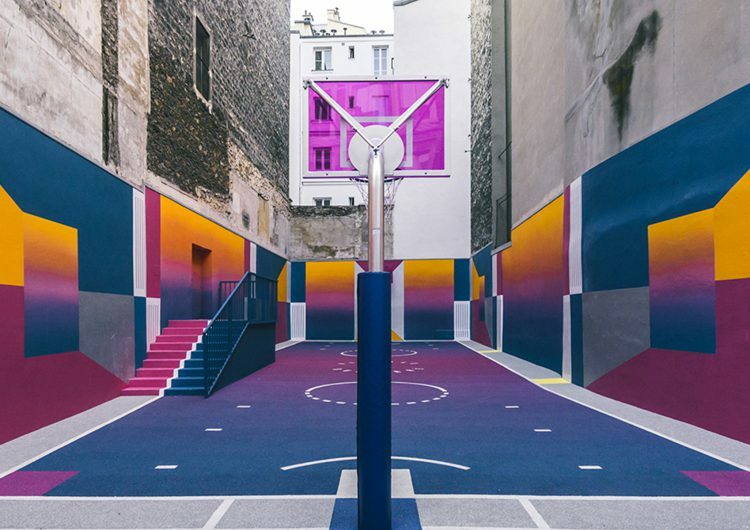 In this court, sandwiched between a pair of apartment buildings in Paris, air balls and alley-oops meet artistic intervention for the second time. Is the new Pigalle‘s intervention in collaboration with parisian creative agency Ill-studio to spice up the site with a fresh and funky aesthetic. a grid of grape-colored gradients, sunflower-stained strokes, and bold blue hues blanket the basketball court’s walls and floor, surrounding players in the saturated and smooth shades of a setting sun. The yard welcomes visitors through hot pink and bright blue gates, leading to a colorful abyss beyond. 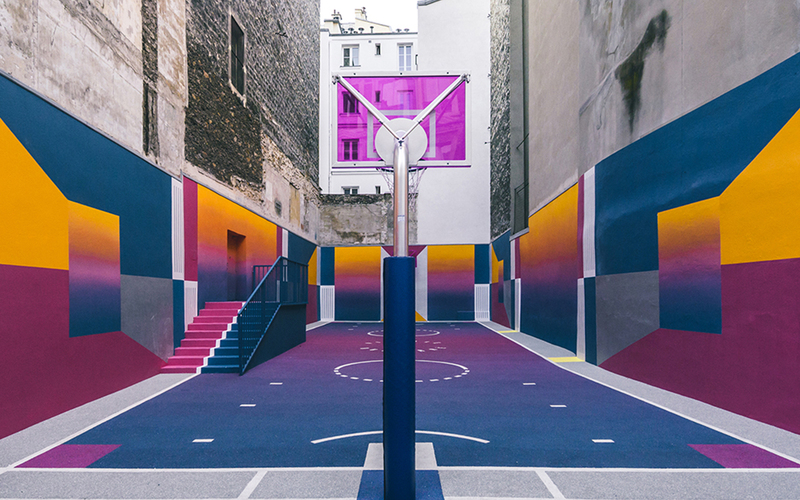 A punchy palette of pink, purple, yellow, and indigo hues has been conceived to correspond to the latest Pigalle’s clothing collection inspired to the ’90s basketball aesthetic.